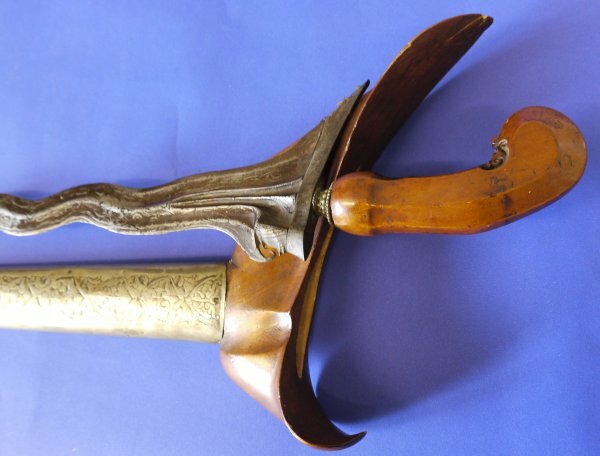 An early 20C Keris Ladrang Solo or Yogya, 11 LUK, Superb Pamor. 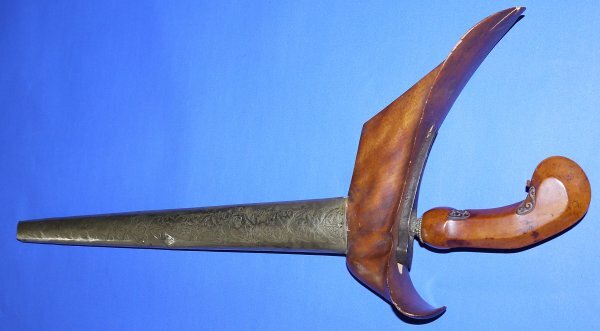 From either Solo (Surakarta) or Yogya (Yogyakarta) Java, probably very early 20C. 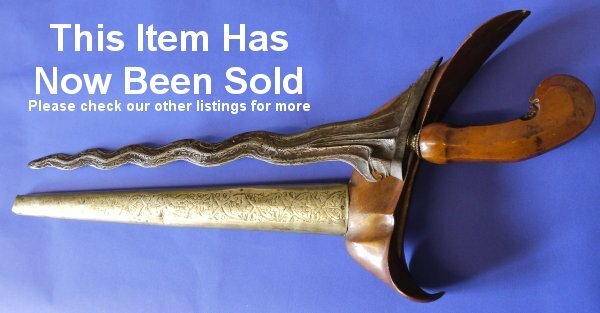 Superbly made 11 luk 14 1/2 inch blade with strong pamor, firm in the hilt. 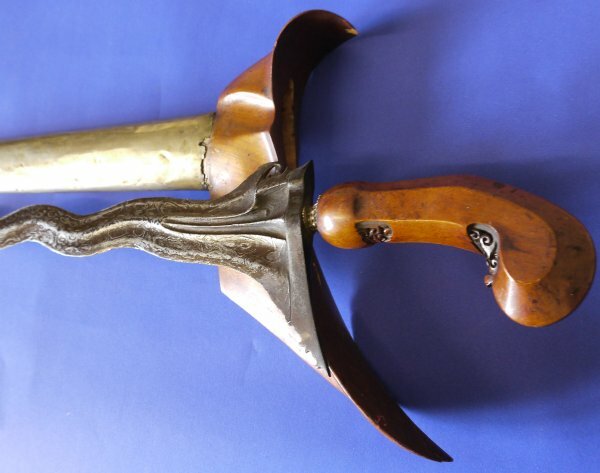 The hilt with a couple of hairline wood cracks and the brass metal sheath cover has a few small dings, but the blade!!! A wonderful example for just £275. Please quote item reference S32. Further pictures available upon request. Box 0612-60x30x15 (1.146).